Our family would like to wish everyone a joyous holiday season, may all of us continue to be blessed during the new year. Many thanks to everyone for taking the time to send the letters to Secretary Clinton and Senator Nelson. We have received a terrific, supportive response from Senator Nelson's office, along with three other U.S. Senators. We submitted our fourth appeal to the AAO (Administrative Appeals Office) in D.C., and now we continue to wait. As far as the Guatemalan side of things, it is still quite hectic. We have learned that we must resubmit/update documents in our dossier. This is a time consuming, tedious task. From a realistic perspective, it would be a miracle if Micah comes home to us before the end of 2010 due to the amount of paperwork and the slow pace everything seems to move. We do believe that Micah is our son and he will come home to us. On a much more positive note, Micah is wonderful! He remains in foster care where he is loved and cared for by a family we love and respect. We continue to speak to Micah over the phone at least three times a month. He is emerged in to the Spanish language and is very articulate. He does say a few words in English, "I love you" and "thank you". He asks about his las hermanas and hermano, always telling them he loves them. Micah gives us kisses over the phone and tells us he loves us, too. Micah is a very special and bright little boy, and we love him so very much. We have planned a visit during the MLK, Jr. weekend. Thank you for your continued love, prayers, and words of encouragement. We love you all! Enough is enough! It is time for our voices to be heard. This precious child has been kept from the loving arms of HIS friends and family for too long. Micah's childhood is being stolen from him each day by not being able to grow up in the stability of HIS home, surrounded by the unconditional love only his parents can give him. Please email us at sarkees384@bellsouth.net so you may print the letters to Secretary of State Hillary Clinton and Florida Senator Bill Nelson. We are asking that no matter what your political views may be, or any resentment you may feel due to the outrageous journey we have traveled, please refrain from making any comments on these letters. We know you love Micah and us, but we cannot afford any more risks when it comes to this child's future. We are asking that you sign both letters and mail them at your earliest convenience. If postage is an issue, please email us at sarkees384@bellsouth.net. We encourage you to please ask your spouses, adult children, friends, families, and colleagues to do the same. The deep love we have for our Micah flows through our souls, it is as continuous as the Atlantic's stream of waves which flood the eastern coast. Your love and prayers keeps us strong. May the power of the Lord be with us all and may we all soon celebrate the joyous occasion of Micah's arrival. This past Thursday, Albert and I, along with our immigration attorney Christine Poarch, received another orphan petition denial from USCIS. This left us shaking our heads because Christine had requested that our case be held into abeyance until we received the Guatemalan judge's order. We do have the documents from the hearing, declaring Micah adoptable, but the judge's order has yet to be received. This usually takes three days after the hearing but for some reason we still do not have this document. So now USCIS claims we have 30 days to file another Motion with an additional fee, this will be the fourth one we will have paid. Oh, did I mention the Motion has to be filed at the Embassy in Guatemala along with the fee? Hopefully, Christine can get the fee waived since USCIS was not suppose to adjudicate our case until we heard back from the Guatemalan court. Let us emphasis that Micah is an abandoned orphan in every since of the term. Albert and I are the only people who have never abandoned this child. We are the only ones who continue to support him, making sure his needs are met. We have been paying his foster mother each month, consistently via Western Union since November 2008. Whenever we visit, we bring him clothes, jackets, pajamas, socks, shoes, underpants, tshirts, books, toys, and even a potty chair, to make sure the money we send for his foster mother does not have to go for these necessities. We want that money to go for food and to help pay for his shelter. Whenever we visit, we take Micah to a wonderful pediatrician who gives him a checkup, just like the checkups my three other children received at his age. At 21 months, we took him to a fabulous pediatric dentist in Guatemala City, where he filled and capped 10 of his cavities. When Micah suddenly falls ill, like children tend to do, his foster mother calls us, so we can call our good friend Luis who will go and pick them up and take Micah to receive medical treatment. We have made sure Micah has received and now is caught up on all of his immunizations. We are explaining this information to all of our friends and family because we want everyone to understand that we are the sole financial supporters of this child. We do not want any gratitude or recognition or pats on the back, Micah is our precious child and we love him dearly. He was relinquished into adoption at 22 days old. His birth mother has not inquired, nor tried to locate him. At two years four months of age, we have never abandoned him. We have always provided for him and made ourselves available to him and his needs; Micah thrives today as a result, and that is blessing enough. Dear loved ones, these are the facts. Sometime within the next week, we should have our letters written. All we ask you to do is to sign the letters and mail them, and to please forward them to your family and friends. We appreciate everyone's continued thoughts and prayers. Our family lives for the day that Micah is home with us. Micah has a village, right here in Jacksonville, Florida, where he will be adored and cherished by many. We will be in contact soon. God Bless! This morning, Albert, Micah, and I appeared in a Guatemalan Courtroom, along with a few other key players. Albert and I were both physically ill as we waited to go inside the small courtroom where the hearing was being held. The bottomline, Micah is an adoptable child and the judge stated that we could be through with the Guatemalan side before Christmas! Now it is up to the US to identify him as an abandoned orphan, which the Guatemalans did today, so we pray this is enough!!! We will be in contact as soon as we receive the thumbs up from our immigration attorney about our letters to Secretaries Clinton and Napolitano. Prior to this meeting, our US attorney had put us in contact with a translator here in Guatemala, Carolyn Minera. I had spoken with her three times before meeting her yesterday. She is my new bff! This woman is a certified court translator AND has dual citizenship with the US, her mother is from New Orleans. So, she and her children´s English were as good as ours! Not only that, but we discovered that our families are very similar. Carolyn, her husband, along with their three children (2 girls and a 2 year old son) picked the three of us up yesterday and took us to this beautiful mall to a section in Guatemala City we had never been. The mall was as nice, if not nicer than The Avenues Mall in Jax or The Mall in St. Matthews in Louisville. And we could not get over the American influence! Half of the stores were American, plus the shirts had English-American phrases. Micah had a ball watching all the activity, especially the Karate demonstration given by several children in the center of the mall, their routine choreographed to American music! We took him to the Lemon Tree, a little cafe with a toddler´s jungle gym, equipped with slides and hundreds of yellow and green plastic balls! Poppa and he slid down the slides and threw the balls at each other, I´m not sure who had the best time. There was also an Applebee´s, a huge IMAX theatre, Sears, Radio Shack, I swear, if I did not know I was in Guatemala, I could swear I was in Jacksonville, Florida! Micah, Albert, and I had such a wonderful time together thanks to the warmth and genorosity of Carolyn and her family! It finally looks like our prayers will be answered. Even though, we have embarked upon a horendous journey, we have encountered some genuine and amazing souls. We could have never gotten through these past two plus years without the love, prayers, enthusiasm, and moral support from our family, friends, and colleagues! We love you ALL!! GOD IS GREAT! 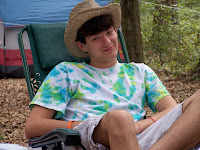 It has been nearly 2o months since I have last updated Micah's blog. 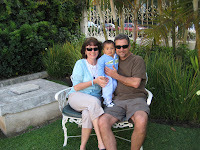 Who would have thought that at two years three months of age, Micah would still be living in Guatemala. This is due to several reasons, which I will not get into too deeply. A few hours ago, I read the first blog I created in January 2008, and wow....were we ever so misinformed. The journey in which we have been traveling over these past two years has lead us down treacherous paths, experiencing uncertainties in which we have no control. Realizing that you are in an emotional situation in which you have no control, is a difficult reality to face. As I write to you today, Albert and I have accepted this fact. In a nutshell, as brief as I can make it, this is the situation as of today. The Department of Homeland Security (DHS) is stating that Micah does not meet the definition of an abandoned orphan. They have been making this claim since March 4, 2008. Micah's birth mother and her mother both have relinquished him for adoption several times. They have stated this to government officials and in open court. Micah has not lived with his birth mother since he was a few weeks old. He has been in foster care ever since he was relinquished for adoption by his birth mother in July 2007. We will be traveling to Guatemala during the first week of October to appear at a court hearing where we pray Guatemala will rule that Micah is an adoptable child, claiming in open court that under Guatemalan law, he is an abandoned orphan. After this hearing, this should give us what we need to Appeal to DHS to approve our adoption. In order for us to make an impact, we want to send letters to Secretary of State Hillary Clinton and Secretary of Homeland Security Janet Napolitano. Thanks to the help and guidance of our immigration attorney Christine Poarch and some wonderful new friends that have recently brought their daughter Ali home after nearly 4 long years, we have been given tremendous insight on organizing, creating, and distributing our letters. Once we return from Guatemala, which we pray the outcome will be in our favor, we will be putting out an all call to everyone who loves Micah to please print and sign our letters, and then mail them to Secretary Clinton and Secretary Napolitano. Micah's foster mother Maribel, has Micah call us regularly. We speak to him every 7 to 10 days. Last week, I spoke to him three times. He goes through a routine where he says, "Hola, Poppa!" "Hola, Momma!" "Hola, Hermano (brother)!" "Amo (I love you), Momma, mucho!" Albert and I have been to visit Micah 16 times. He is our son. Our precious angel. And we love him mucho! We will never be able to thank everyone enough for your love and prayers. But please know, this little boy is a miracle and he is loved and treasured so very much. This is Meagan, Micah's eldest sister. She is 23 years old and lives in Louisville, Kentucky. She is currently studying Graphic Art and Design and works for her aunt's promotional company. She will graduate next year. She will be more than enthusiastic about helping you with all of your promotional needs, visit her at http://www.doubledogdare.us/ . This picture was taken on our family vacation to the Florida Keys. This is Micah's sister Sarah. She is 20 years old and lives in St. Augustine, Florida, which is approximately 38 miles south of Jacksonville. This is her making her first Thanksgiving dinner, while Albert and me were in Guatemala. In St. Augustine, she attends college and is studying to be an English teacher. Sarah is a gifted writer and loves to play her djimba drum. She and her friends play music on St. George Street, where they all work at local restaurants. This is Sean, Micah's big brother. He is 17 and will graduate from High School in May. This is him at the Magnolia Festival this past October, days before we visited Micah for the first time. The Mag Fest is a four day music festival that takes place upon the banks of the Suwanee River in Live Oak, Florida. Greetings Loved Ones of Micah! This Thursday, Albert and I head back down to Central America to visit our little prince. He will be 7 months old on the 22 of January, we feel extremely blessed to have been able to watch his development by visiting him each month. We first met Micah at 4 months old, and each month when we visit, it is so exciting to witness the new discoveries he has made. During this visit, there will also be various other families from our agency, Tree of Life. Also, our coordinator, Kay Montes, will be there. Kay will be supporting us by proactively working with our Guatemalan coordinator, Cindy Flores. These ladies are very passionate about bringing Micah home, and his Guatemalan friends, to their families in the US. Albert and I are anticipating big developments when we go down. As we await Micah's arrival, Albert, Sean, and I get his room ready with Winnie-the-Pooh decor. Sean anticipates all the fun he is going to have with his baby brother. For 17 years Sean has been the youngest of three. His two older sisters, Meagan and Sarah, have always adored, cuddled, and even ganged up on him on occasion (isn't that what big sisters do?). But Sean has always taken it in stride with a genuine good nature. Sean will graduate from Bishop Kenny High School in May. He is truly a wonderful young man who works hard, earns good grades, and has a huge heart. He is sincere, gentle, and a magnet to babies. They seem to love him! Just ask David, Avery, Gavin, and Anna. Sean will be a great big brother.